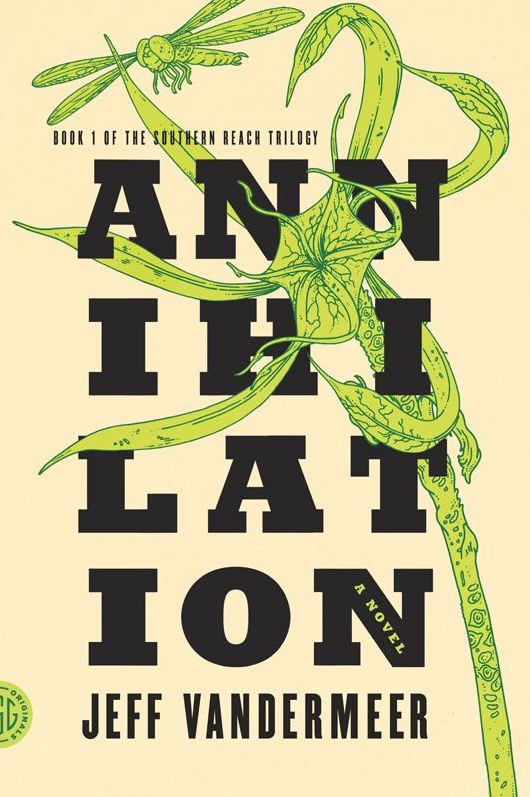 After crafting one of the more impressive sci-fi films of the last few years with his directorial debut Ex Machina, Alex Garland is thankfully staying in the genre for his follow-up Annihilation, an adaptation of Jeff VanderMeer‘s first book in the Southern Reach trilogy. While we recently got the unfortunate news it won’t get a release until 2018 from Paramount, a few more details have arrived following a handful of behind-the-scenes images. Starring Natalie Portman, Gina Rodriguez, Tessa Thompson, Jennifer Jason Leigh, Oscar Isaac, and David Gyasi, the film features a group of women — an anthropologist, a surveyor, a psychologist, and a biologist — who embark on a dangerous, secret expedition where the laws of nature don’t apply. VanderMeer stopped by The Watch podcast to discuss a bit about the adaptation process and his initial thoughts following a test screening. I’m not really sure what I’m allowed to say about it or not say about it, so I’ll keep it simple…I’m still composing my thoughts and feelings about it. I can tell you it’s mind-blowing, surreal, extremely beautiful, extremely horrific, and it was so tense that our bodies felt sore and beat-up afterwards. The first book had more of an open ending with a bit of resolution, and there certainly wasn’t a huge twist, so we’ll have to wait and see what Garland has cooked up. Considering the cast he’s assembled and his main influence being Andrei Tarkovsky’s newly restored sci-fi classic Stalker, it can’t get here soon enough. As we await the first trailer, check out the Amazon synopsis below and the podcast episode above. Annihilation will open on February 23, 2018.